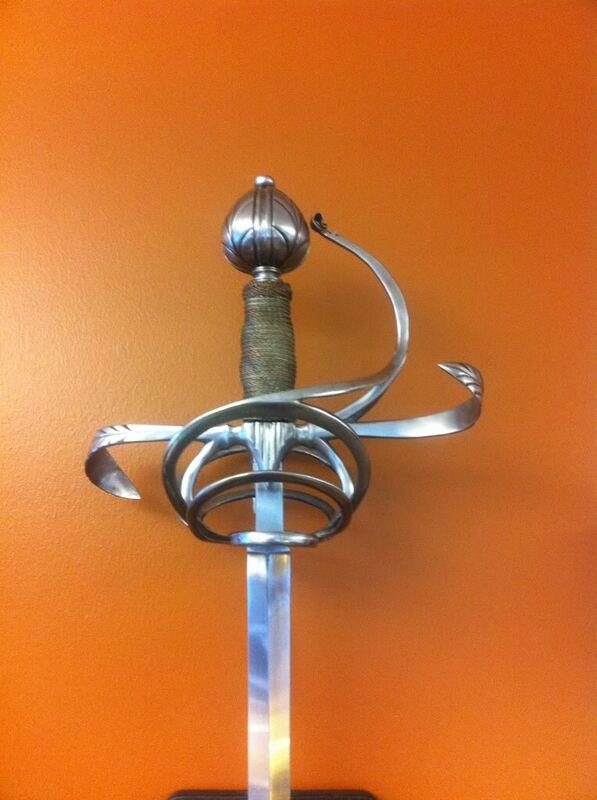 Up for sale is my prized 3-ring floral hilted rapier made by Erik Stevenson at Phoenix Metal Creations. Erik no longer makes swords but his work is considered to be some of the best in the market at any price range. 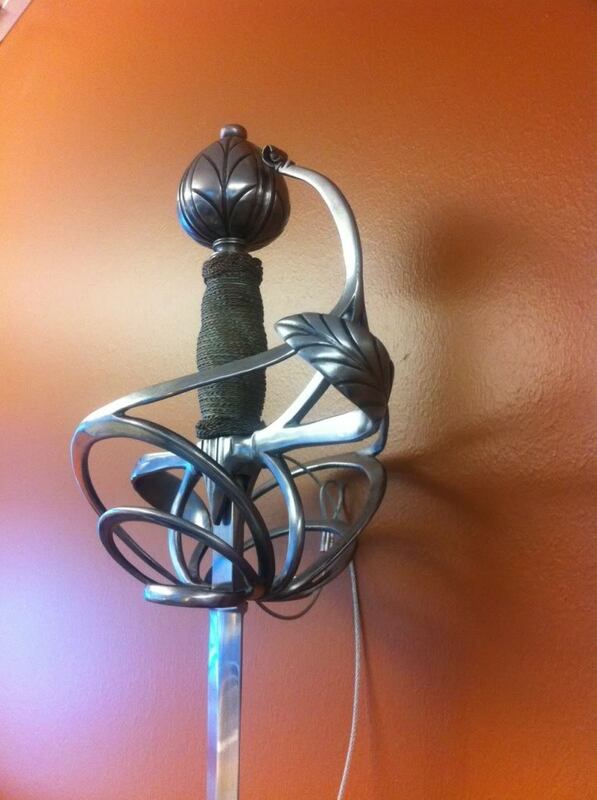 This rapier has a copper wire handle tied with traditional Turkish knotts. The guard is highly decorated and detailed with floral and leaf patterned art. 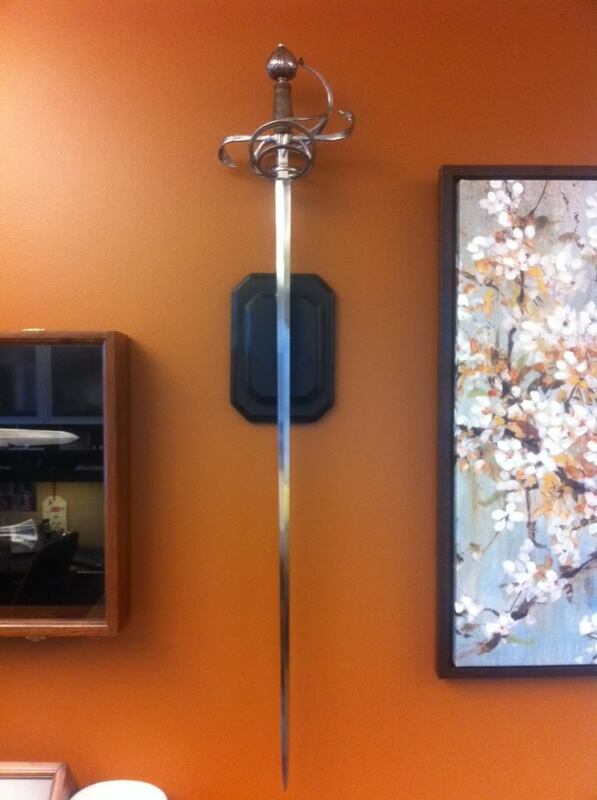 The blade is by Arms and Armor and comes in at 40-inches. The edge is very slightly bated but the tip is super sharp. This piece weighs in at approximately 3lbs, which is historically accurate for it's style. I'm listing this blade at $1,200USD with free shipping directly to your door in the CONUS. OK...after thoroughly reviewing the current market price of custom swords, I'm going to reset this price to what I believe to be very fair. $1000 + $30 shipping and 3% if you want to pay with Paypal. This would be a total price using paypal and including shipping of $1061.